Why? Though he spent 30 years in the ‘biz’, I was the one getting a tiny slice of ‘fame’ (notoriety?) thanks to the small square with my photo. Today, he’s having the last laugh as billboards for his recent TV commercial can be spotted all over the country! And the ad is running not just in India but also in South & South East Asia, Africa and the Middle East. Behind the billboard for me? When Aalim asked to do a shoot with my snazzy new hair cut, it had to be that very night as I was flying off to Singapore the next day! We began at midnight and I don’t even remember when it finished…. and the poor make-up artist really struggled as I had a nasty sun burn from a day spent splashing about at the Breach Candy club. That is a dog collar clenched between my teeth… if you really wanted to know! Behind the billboard for my partner? Aside from all the rehearsal time, the 30 second commercial was a physically demanding two-day shoot. While there were stunt men, most was all him, with the bruises to show for the harness shots (leaping & jumping) and a nasty knock from the door flip shot (no he didn’t to the flip!). He was definitely stiff for a couple of days after, but enjoyed doing all the whacky moves and the experience working with a top-notch team. Just one of MANY billboards! What I personally love about the ad is it plays on his character – a seemingly serious exterior hides a zany interior. Enjoy! By Carissa Hickling in Discovering difference, Film, Work on April 13, 2014 . OMG this actually so cool! I was just posting my blog for the week and saw this! Haha…you’ve technically achieved immortality! As for me – Hardly! 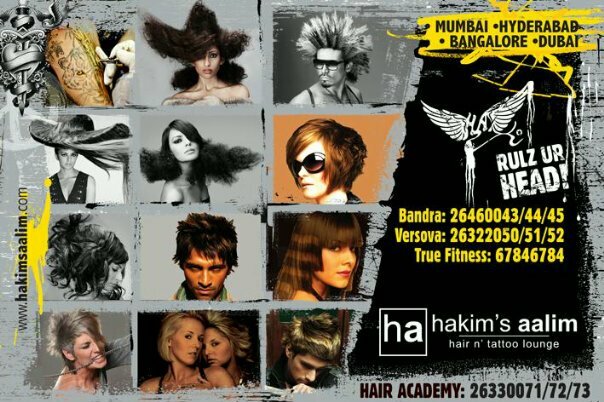 But we really did used to have a good laugh – especially seeing the Hakim Aalim billboard in Juhu next to all the filmy ones! As for the dog collar… woof?? At last – wacky and zany. 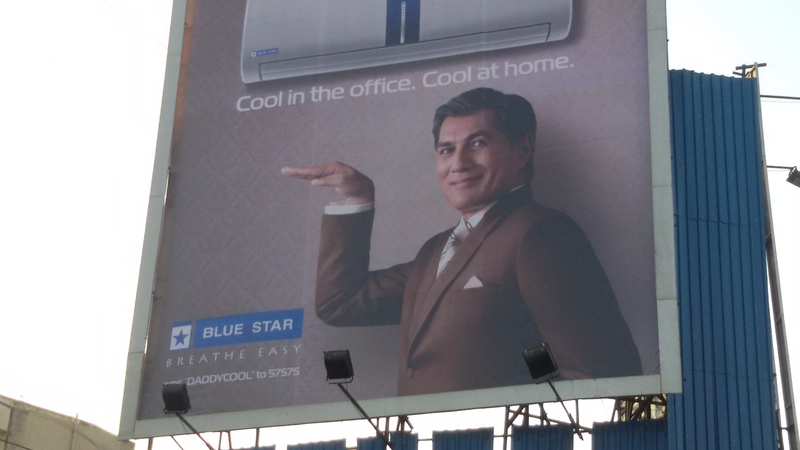 I thought all Indian TV commercials had to be smug and arrogant. This is so much better. And I’m very impressed by your partner – he’s great, and actually looks like he’s enjoying himself! Haha! He was enjoying himself – when else are you told that to just go a little crazy?! And the ad is a hit here, already talk of being a contender for awards, etc. Ha ha! That is so cool! And your partner has some MOOOOOVES! And also congratulations on your fame! Our first date was at the Christmas ball – imagine being swept around the dance floor repleat with romantic gestures… Enough to make any lass swoon…. clearly I was NOT impervious! Ha, he picked the location well! You’re an interesting girl Miss Every Day Asia! Oh no, the video has been blocked now! I do want to see the moves that everyone is talking about!!! How peculiar! I posted the authorized YouTube video from the Blue Star dude… just msgd Girish to find out what’s going on…. Wowww, those were some serious moves 😀 Hats off to your partner. Yeah, sometimes youtube copyrights work a bit strangely. It’s better if he checks with them! And just got the update will be showing during IPL… a mere oh 150 million viewers or so… give or take a few million here n there? !